Finding the time to lose weight and stay physically fit can be challenging with today’s busy schedules. 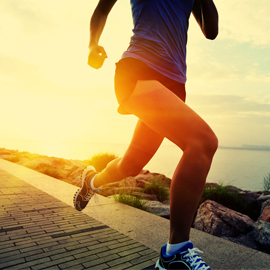 Use these tips to help make exercise a more convenient part of your daily life. Wake up 30 minutes early. Use the extra time to take a walk around the neighborhood or run on a treadmill. People who exercise first thing in the morning are more likely to stick with their workout plans, according to statistics. Make the most of your household chores. Doing regular housework like mopping, laundry, or scrubbing the bathrooms can help you burn extra calories. The key is to do your chores at a pace fast enough to get your heart pumping. Remember that outdoor chores like yard work or washing the car burn calories, too. Turn TV time into tone-up time. Use hand weights, ride a stationary bike, or do a stretching routine while watching your favorite TV shows. Another small way to burn more calories? Ditch the remote and get off the couch to change the channels or adjust the volume. Plan active outings. Whether it’s your family time or your social outings with friends, plan activities that get everyone moving. Consider walking through the zoo, going for a hike, or playing a sport at a local park. Take extra steps whenever you can. Park toward the back of the lot when you do your shopping or arrive at work. Take the stairs instead of the elevator. Take an extra lap around the mall or grocery store before you start your shopping. Wearing a pedometer every day will help you keep track of your progress and help motivate you to find little ways to get moving all day, every day.